McKeel Hagerty on a 1937 Harley-Davidson "Knucklehead." 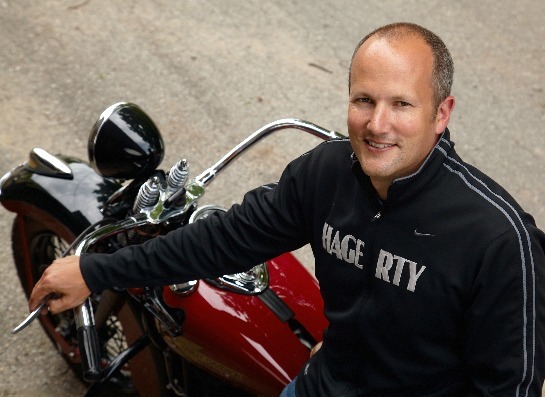 Hagerty Insurance is the newest member of the motorcycle industry to offer support to the National Motorcycle Museum. Hagerty is the world's leading provider of classic car insurance, as well as insuring vintage motorcycles. They have seized this opportunity to show their support for the presentation of motorcycle history. 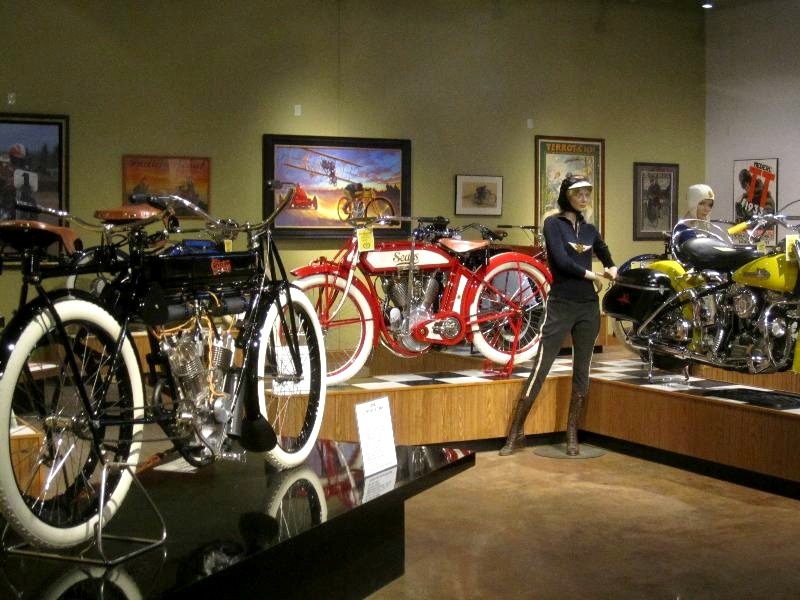 "The National Motorcycle Museum was founded by people with a tremendous passion for antique and vintage bikes. Their ongoing commitment to showcasing motorcycle history from all over the world is impressive," says McKeel Hagerty, CEO of Hagerty. "We share their commitment and want to support the long-term interests of the historic motorcycle community through our sponsorship of the Best of the Best gallery." European motorcycle advertising offers backdrop for rare Curtiss Twin and Brough Superior SS100 Pendine. Within the 35,000 square foot National Motorcycle Museum space is one gallery reserved for the best motorcycles and the best artwork. Motorcycles like a Curtiss twin, a Royal Pioneer, a Brough Superior Pendine, even an original unrestored 1912 Henderson Four are surrounded by just as fine and rare large scale posters and paintings, even European motorcycling prints. Museum President and Founder of J&P Cycles, John Parham offers, "I know Hagerty is strongly committed to the vehicle collector world. They are a part of about every motor event I attend. It's great to see them give support to our work here at the National Motorcycle Museum." The sponsorship is multi-year. 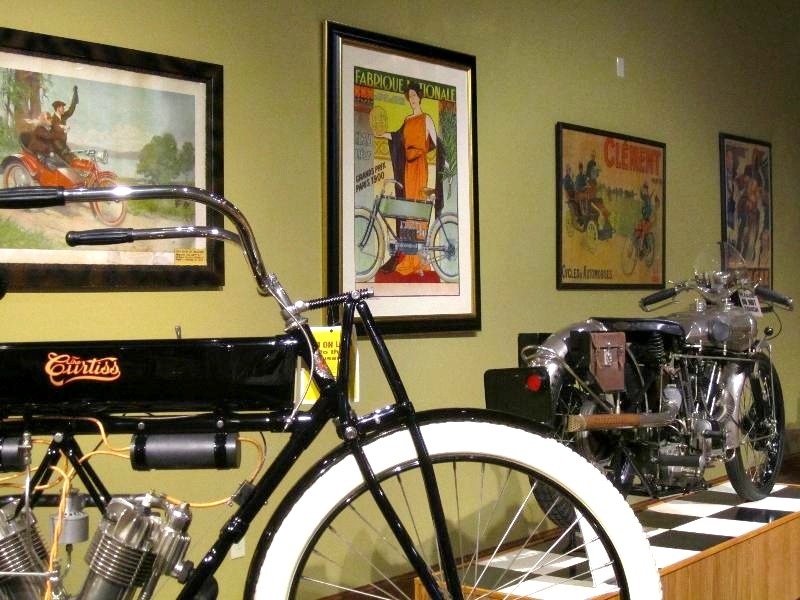 Vintage motorcycling apparel, a rare Curtiss Twin, 1915 Sears and a yellow Duo Glide with special meaning to J&P Cycles Founder, John Parham make the Best of the Best gallery a special place in the Museum. and rare Curtiss v-twins plus great prints and paintings. If you own vintage or antique motorcycles that are not protected from what fate may bring on the road, on display or in storage, see how Hagerty Insurance can give you some peace of mind. 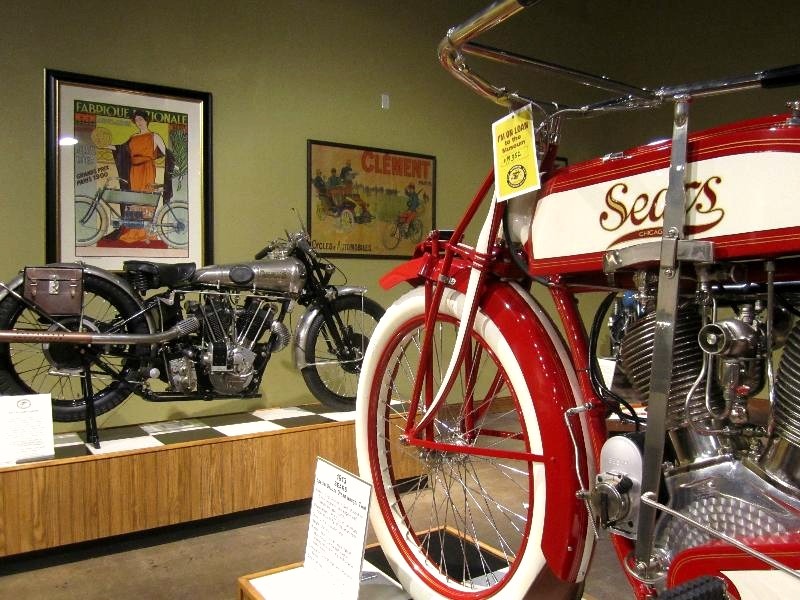 Plan a visit to the National Motorcycle Museum, take in the Best of the Best gallery and over 400 motorcycles from around the world, plus bicycles, motorcycle toys and even a restored 1920's gasoline station. Visit the Museum's website at www.nationalmcmuseum.org, or call 319 462 3925.